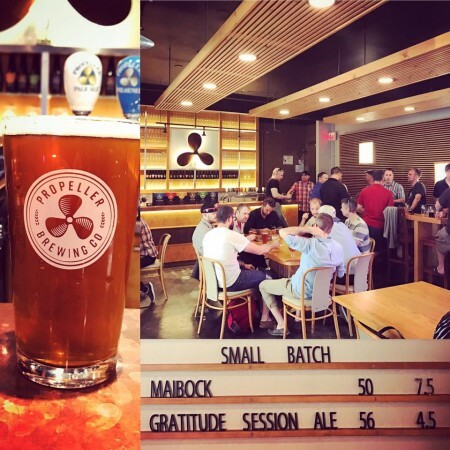 HALIFAX, NS – Propeller Brewing has announced the launch of a new series of one-off beers that will be available exclusively at the recently renovated and reopened Propeller taproom at 2015 Gottingen St. in Halifax. Gratitude is available now by the glass and in growler while supplies last. Further beers in the series are planned to be released on a monthly basis.